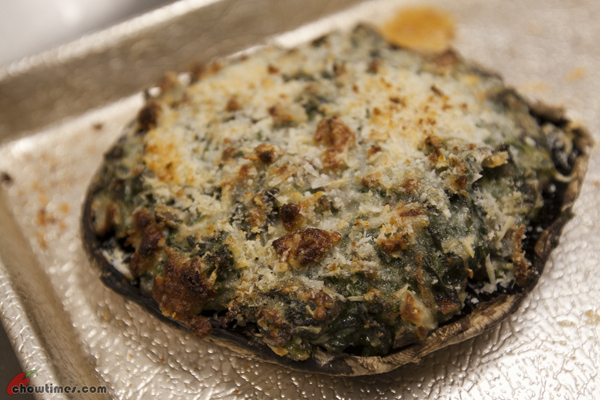 The second dish in the theme of using food in season is Spinach and Hazelnut Stuffed Mushrooms. This recipe makes a great appetizer or a vegetarian meal when served with salad and crusty bread. 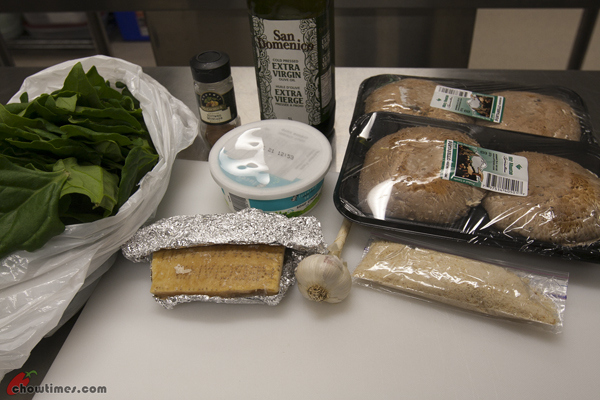 The South Arm Cooking Club for Seniors resumed in September. 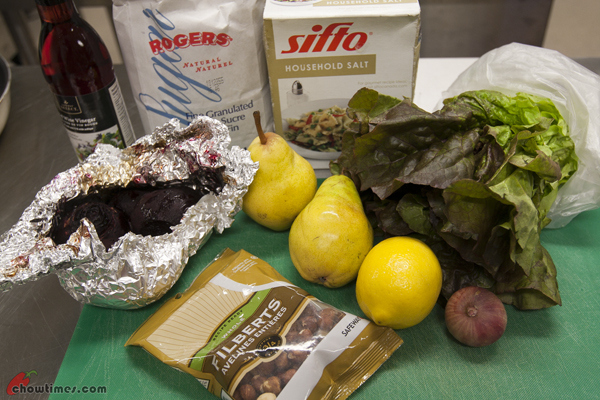 I missed the first session as I was attending the Multicultural Community Kitchen in Gilmore Park Church. Unfortunately, the schedule collided again. reduce carbon food print; did you know that the average ingredient in a North American meal travels 1.500 miles from farm to plate? 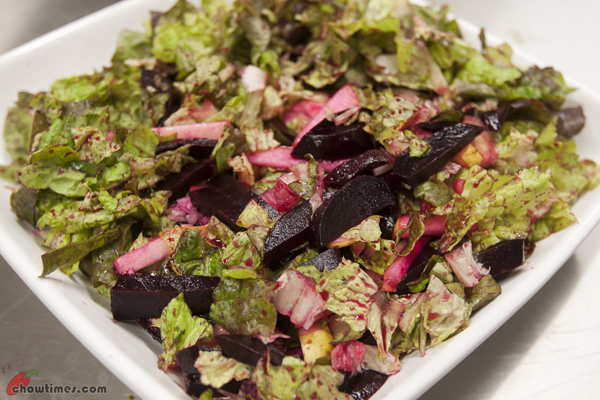 In line with the theme of using local food and food in season, Michelle selected a beet and pear salad. 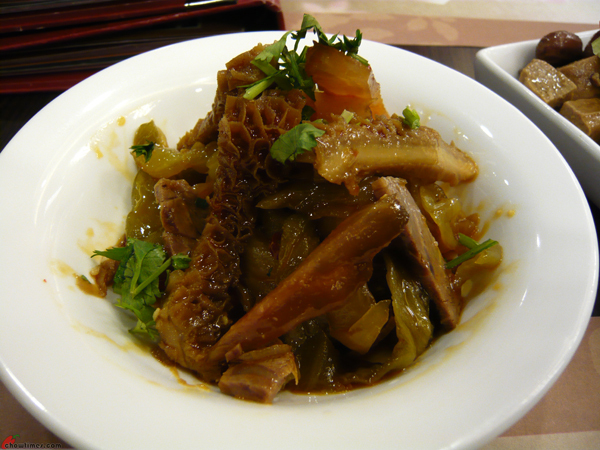 We had dinner at Master Kong upon return to the Xian railway station. 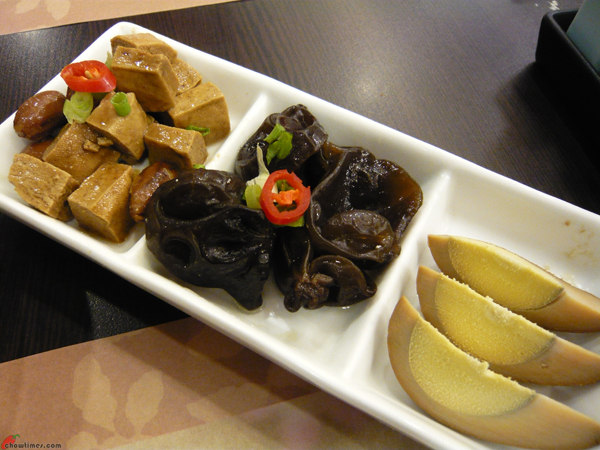 We ordered some marinated beef tripe and tendon for appetizer. 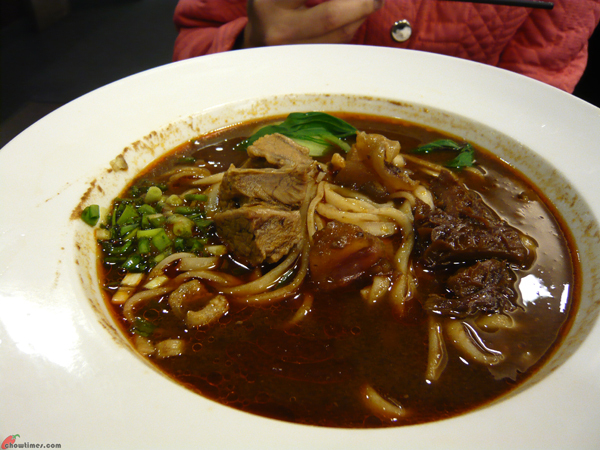 Ben had a spicy beef noodle with mixed meat for my main. It was perfect for a cold fall night. 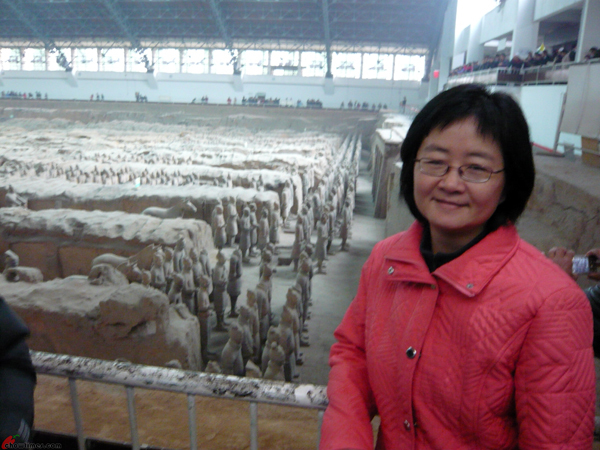 After visiting the Terracotta Warriors site, we took a shuttle bus to the Qin Shi Huang Mausoleum. 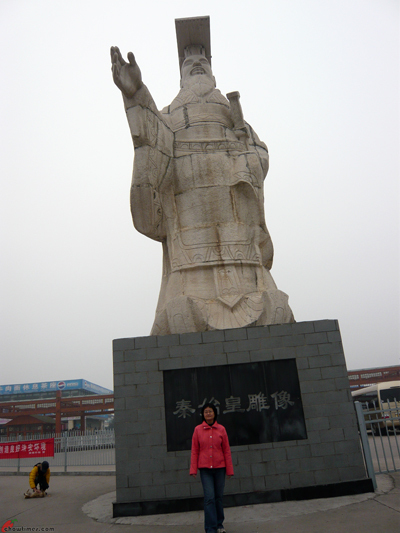 Qin Shi Huang was the first Qin Emperor and also the first emperor of China. 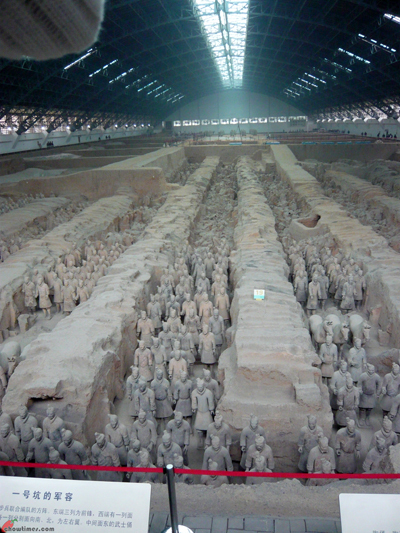 The Mausoleum of Emperor Qin Shi Huang is the largest imperial tomb in China. The Terracotta Warriors site is the most popular tourist attraction of Shaanxi. 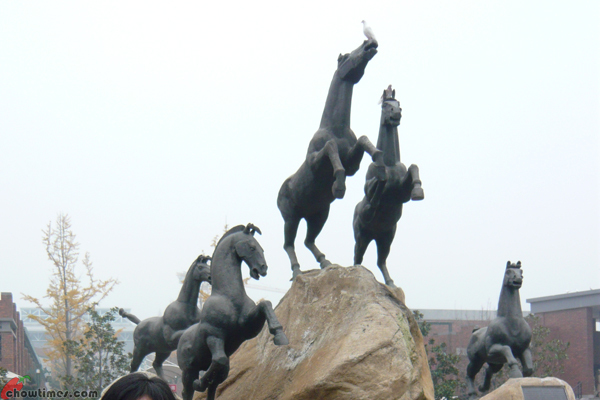 We came across some sculptures of horses before reaching the pits where the Terracotta Warriors were found. There were 3 pits that we visited. The site of the Terracotta Warriors was listed as a world heritage site by UNESCO in 1987. A mural along the way to the pits. I remembered it was a long walk before we reached the pits. The buildings at the background house the pits where the Terracotta Warriors were found. Rows and rows of Terracotta warriors in Pit No. 1. 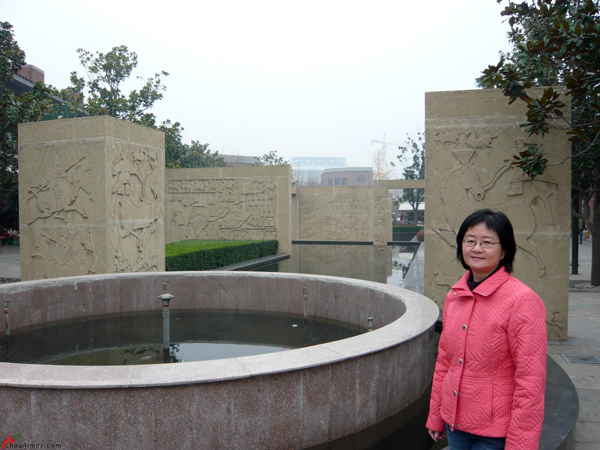 After the visit to Huaqing Hot Springs, we continued our journey to the Terracotta Warriors site. 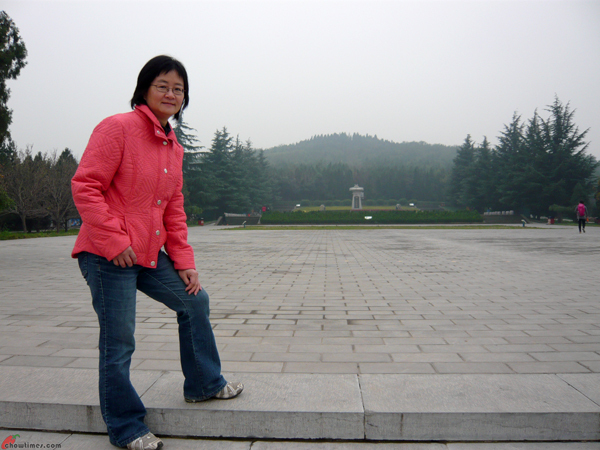 It was lunch time when we arrived at the Terracotta Warriors site. There are several restaurants right at where the bus dropped us. 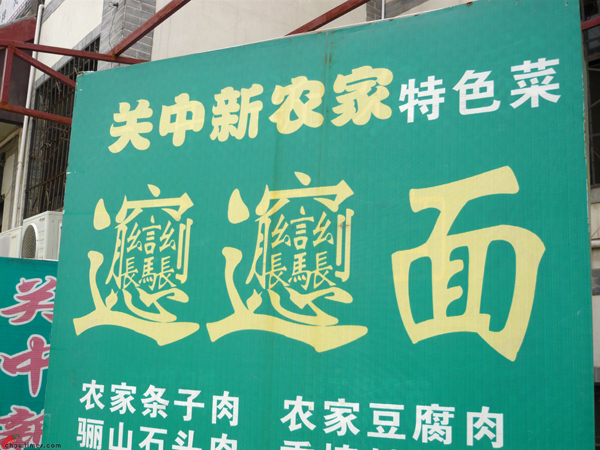 We came across the above sign which has the most complex Chinese character that I’ve seen. 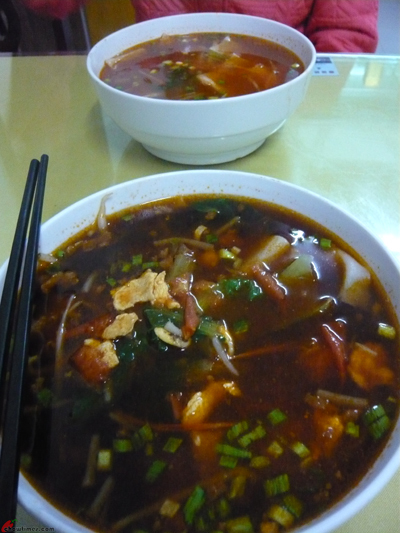 Apparently, it’s called Bian Bian Noodle and it’s very popular here. It must be a night mare for a kid to learn to write that Chinese character which has 57 character strokes. 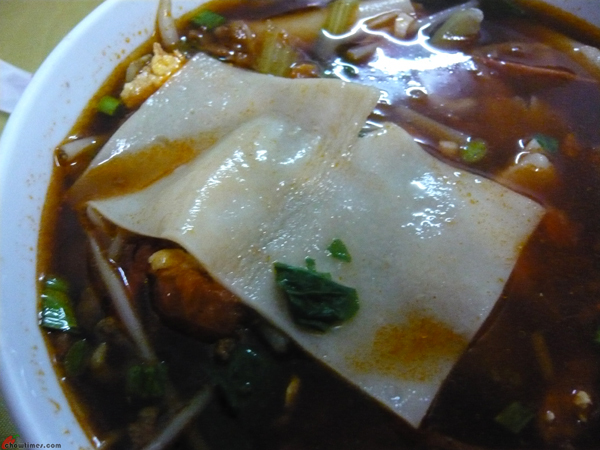 Without hesitation, we ordered the Bian Bian Noodle to try. 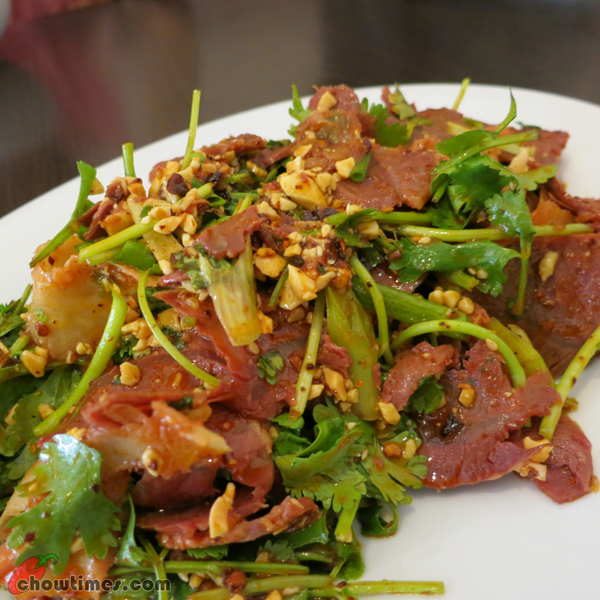 It was vinegarish and slightly spicy and there were some vegetables in it. 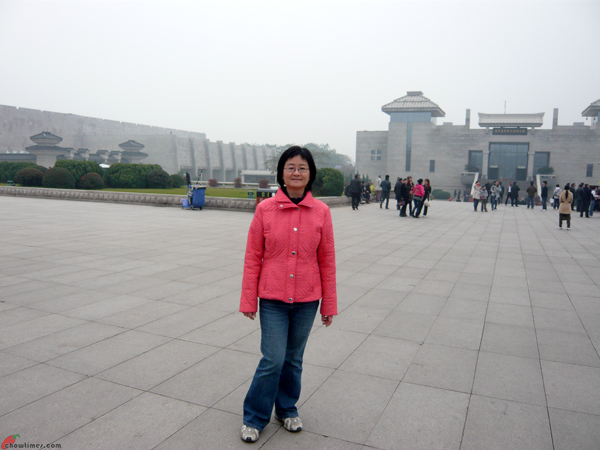 The plan for the 3rd day was to visit the Terracotta Warriors. 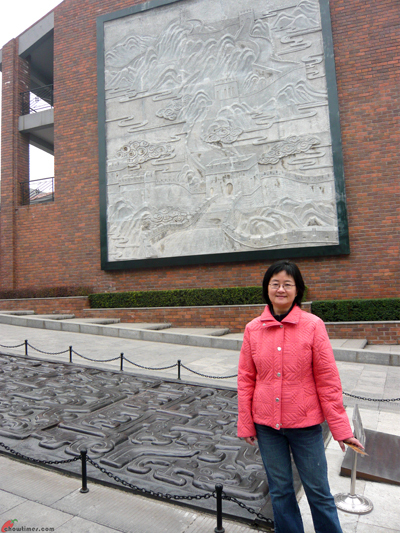 We took a cab to the railway station to take the bus to the Terracotta Warriors. The bus ride was RMB6 (CAD1) per person. 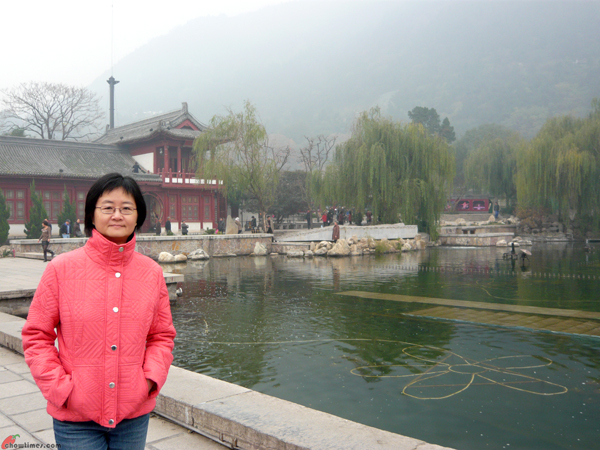 The first stop of the bus 306 was Huaqing Hot Springs and the conductor told the commuters that this is a good place to see. We did not plan for this but we decided to get down to check it out. 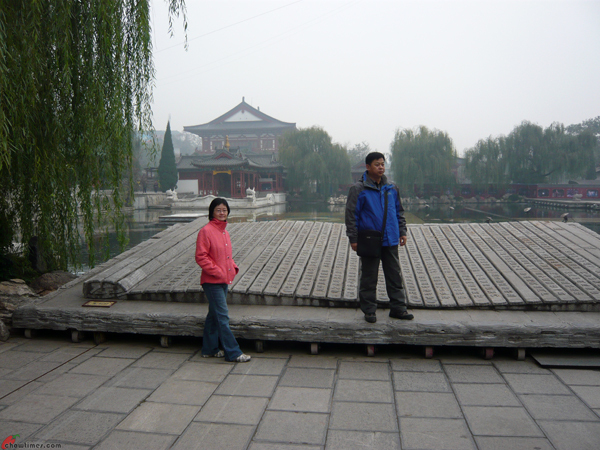 We made the right decision as Huaqing Hot Springs is very scenic. 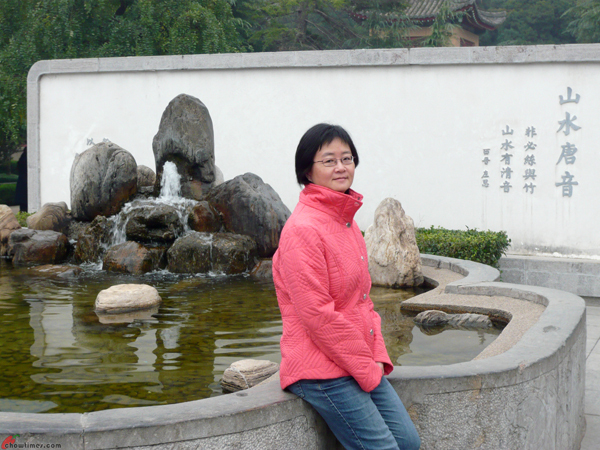 The entrance fee is RMB70 (about CAD12) per person. The willow, the man made pond and the rocks made a wonderful landscape. The mist added charm to it. 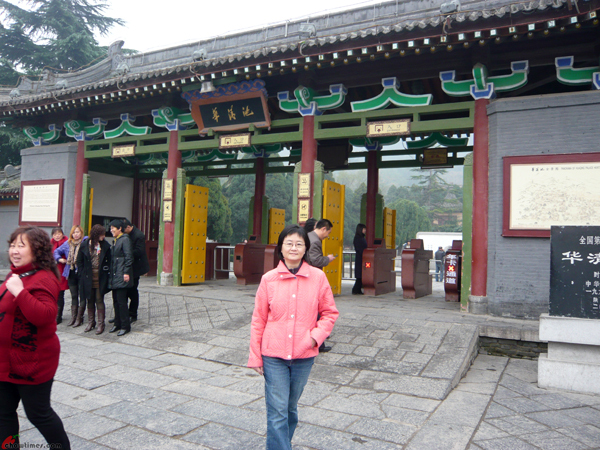 Huaqing Palace is located at the foot of Li Shan in Litong county. The mountain at the background of the above photo is Li Shan. Nanzaro had his wisdom teeth extracted this summer. He had to be on soft diet for a few days. 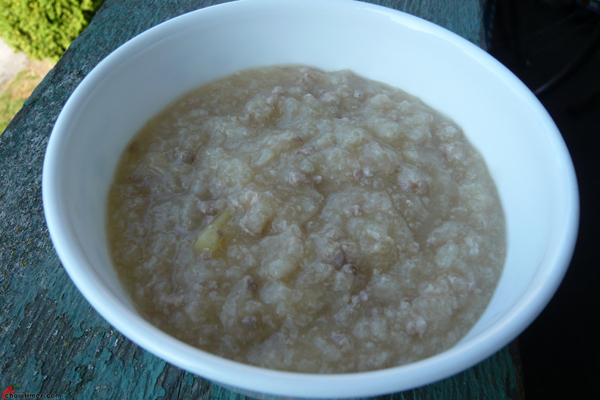 I received an email on how to make porridge in 10 minutes just in time for Nanzaro’s ordeal. It actually takes longer than 15 minutes if you like a very creamy soup, maybe add another 10 to 15 minutes. It’s time to service my car at the Richmond Automall. Since it’s summer break, Nanzaro accompanied me with the condition that I buy him lunch. 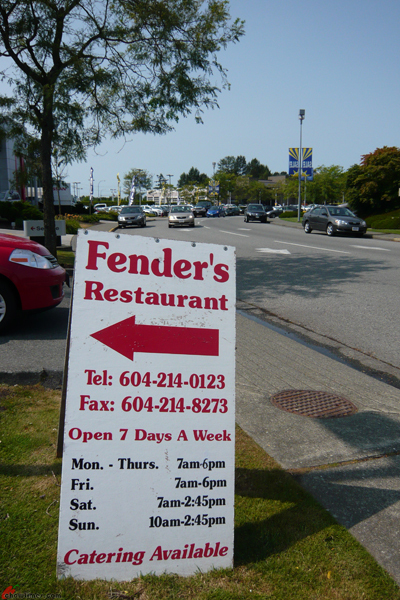 I brought Nanzaro to Fender’s Restaurant as he likes diners food. 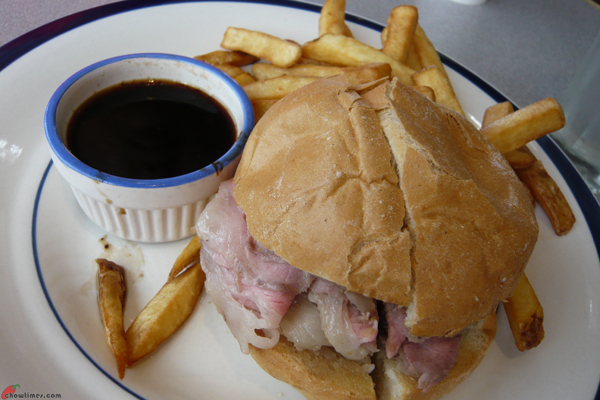 Nanzaro ordered the Beef Dip with Fries for $9.95. 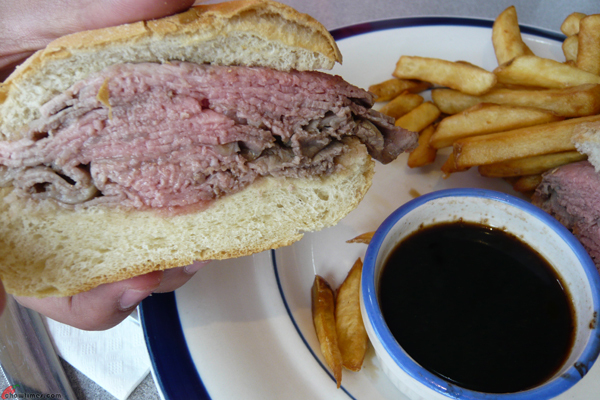 The Beef Dip looked smallish. When Ben is around town, he will bring me to Szechuan restaurant as he knows that the chances of me going to one with the boys will be very minimal. The boys will always protest but daddy will overrule them. The funny thing is they usually enjoy the meal most of the time. 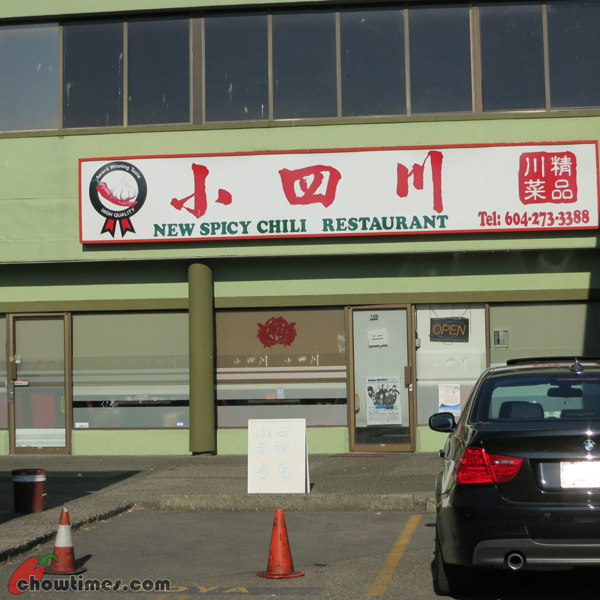 We went to New Spicy Chili Restaurant in Richmond. I’m not sure if there is a change of management or just a change of the English name. 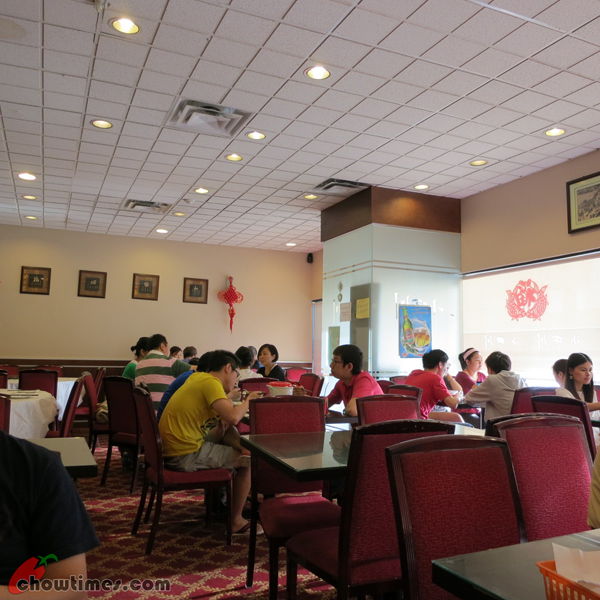 This restaurant was known to be Golden Spring Szechuan Restaurant. However, the Chinese name remains the same. Parking is not easy in this strip mall. There is a parking attendant that directs the traffic here. This restaurant is always busy. The seating in this restaurant is pretty tight. We do like the menu here which has color photos of the dishes. The servers here mostly speak Mandarin.